With the casting of the Dark Knight Rises being finalised we now have a new villain to add to the roster. Tom Hardy has been cast as Bane in Christopher Nolans new Batman movie. Christopher Nolan has always kept the mob warfare in his Batman movies along with a tough of gothic realism. Which is why the adding Bane to the roster of villains has come as a bit of a surprise. 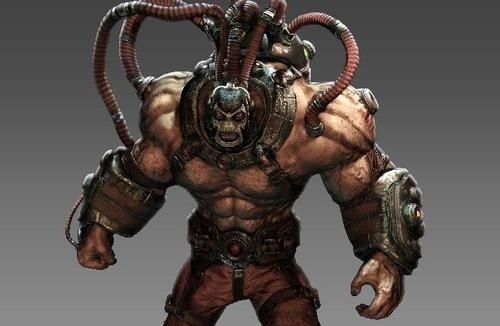 Bane is a well known henchman and mostly appears in comics on his own supped up steroid system. But it looks like he will have a big part in the Dark Knight Rises movie. Bane is going to be played by Tom Hardy who has worked with Christopher Nolan before in Inception. Given the history with actor and director it looks like Bane could have more than just a passing part in the movie. The news follows the recent casting news of Anna Hathaway who will be playing Catwoman in the new movie. The Dark Knight Rises has a release date of July 20th 2012 and we should have concept art of villains in the movie coming soon.